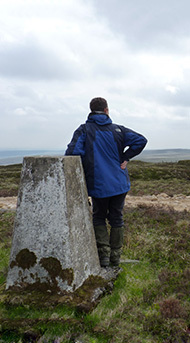 The Langholm Moor Demonstration Project ran from 2008 to 2018. It was a partnership between Buccleuch Estates, Scottish Natural Heritage, Game & Wildlife Conservation Trust, the Royal Society for the Protection of Birds and Natural England. Details about how and why the Project was formed can be found here. This website is being maintained so that the former partners can continue to pass on information of general interest and to host the project reports. Our News page will carry key updates. The partners agreed that as of January 2018 the activities the Project delivered as a business were complete. Through 2018 and 2019 partners will continue to collaborate on analysing and publishing reports on the project work. Some partners are individually continuing elements of monitoring. The ‘7 year’ interim report can be found here. The final project report will be available from this website in 2019. Papers published by the partners cover buzzard diets, the abundance and breeding success of hen harrier and red grouse. These and more papers as they are published can be found in the publications section. Interesting and useful monitoring results will be published on an ‘ad hoc’ basis by partners – please check the news pages here.